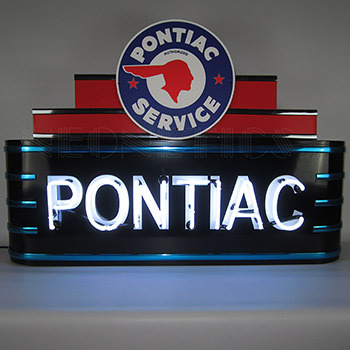 Art Deco Marquee Pontiac Neon Sign In Steel CanI was worried before about how the Neon Sign will look and will it be the same I am expecting. All my worries got the way to be happy when I received it. Neon Sign for my Coffee Shop is looking superb. Thank you Everything Neon. My customers too are loving it.